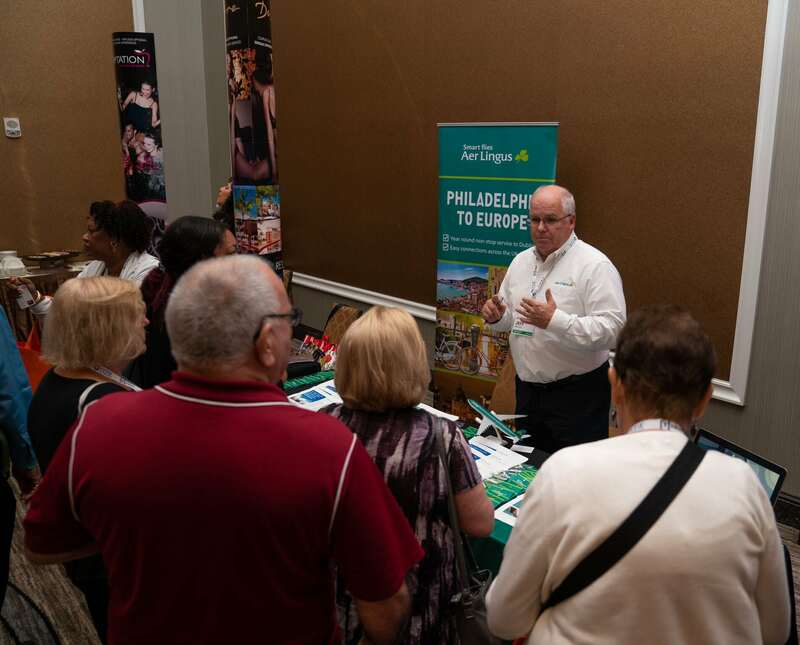 CCRA returned to the Philadelphia area on Friday with a half-day event held at the Sheraton Valley Forge in King of Prussia, PA, welcoming over 100 travel agents and 20 suppliers for learning, networking, and relationship-building. Rachel Levy of Israel Ministry of Tourism gives a compelling presentation on the diverse offerings Israel can offer our agent's clients. We kicked off the event with a presentation from Israel Ministry of Tourism's Rachel Levy, titled "Israel, Beyond Belief," highlighting the myriad of sites and experiences Israel offers. Following Rachel's presentation, select agents met with our sponsors for the Platinum Agency Roundtable Sessions while others had the option of attending PowerStrategies: The Power of Partnerships with Tammy Levent, Founder of TASK. Tammy is one of the world's most innovative travel agency owners, industry mentors, and daytime TV superstars, and she talked agents through business models, commission negotiation tactics, sales and marketing tips, how to leverage their business with the right partnerships, and so much more. Agents listen as Michelle Raoult, International Leisure Sales, Corporate Manager of Atelier Hotels presents their incredible properties during the roundtable sessions. 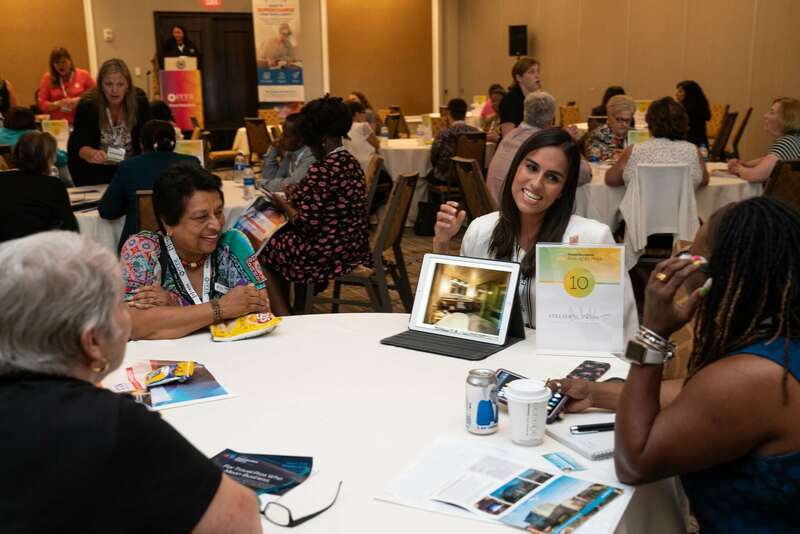 Before hitting the trade show floor, everyone came back together for one more educational session presented by Brenda O'Neale, Founder of With This Ring Destination Wedding and Honeymoon Travel. 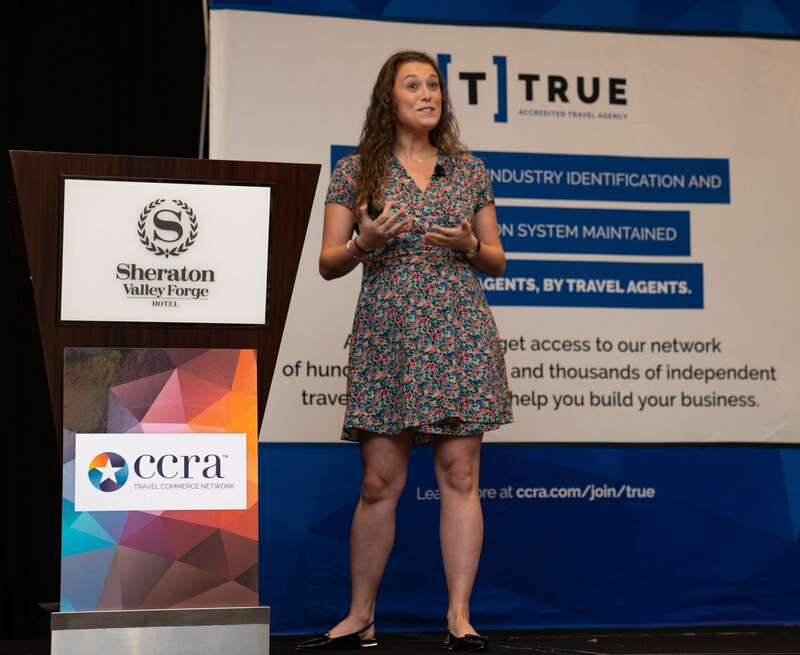 Brenda shared her story, her successes, her expertise and how she built the relationships with resorts and vendors that ultimately made her an award-winning travel agent and wedding planner! Agents gather to listen to Jeff Wright, Director of Global Sales from Aer Lingus present their latest offerings. To end the night, suppliers and agents enjoyed food and drinks while networking with peers, developing new relationships, and meeting with CCRA leadership to discuss their travel businesses! Agents won prizes such as free hotel stays, gift cards, travel vouchers, free subscriptions, and more. The trade show floor is packed as the evening continues with great food, drink, and conversation! 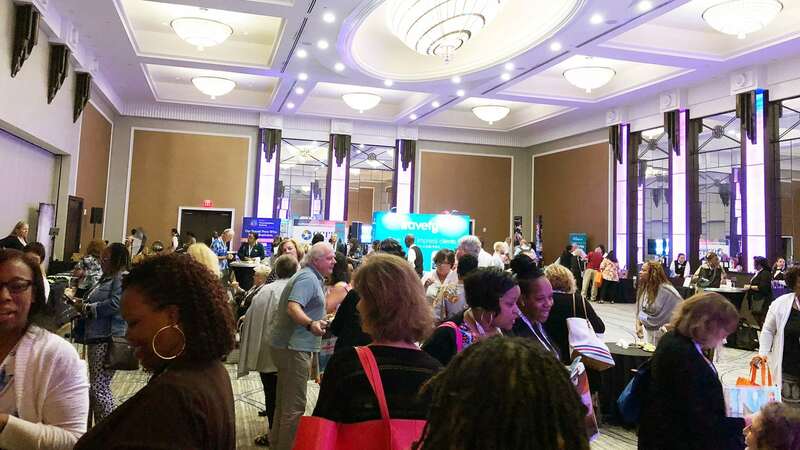 It's no wonder each event continues to grow each year with more and more agents coming out to experience a day with CCRA. 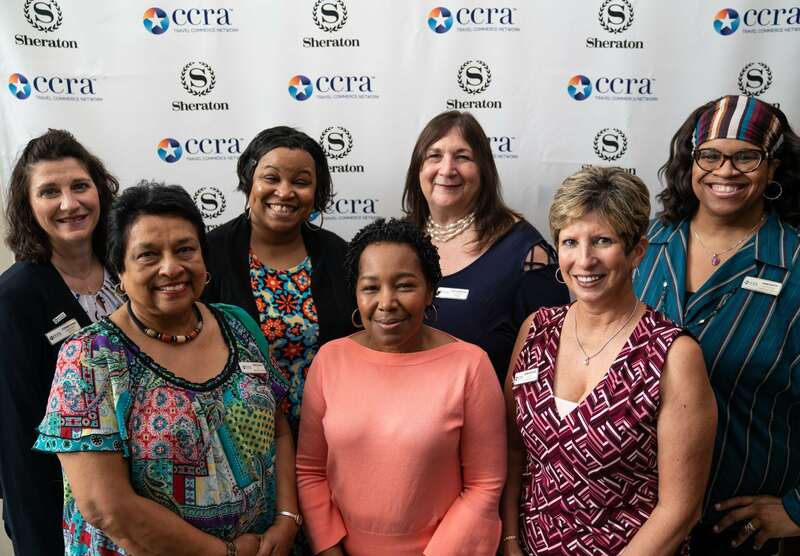 Six of CCRA's Northeast Regional Chapter Directors were also on hand to help educate the agents on CCRA's offerings and provide guidance on running a successful travel agency business. CCRA Chapter Directors left to right: Connie Rush of Lehigh Valley Chapter, Hema Khan, Northeast Regional Director, Larissa Parks of the DC Chapter, Margie Jordan, VP of Agency Education at CCRA, Nina Sherman of the Philadelphia Chapter, Robin Savage of the Central NJ Chapter, and Anne Smith, Director of CCRA's Baltimore Area Chapter. PowerSolutions Live could be coming to your city. Check out our schedule to see where we'll be next! Interested in attending a PowerSolutions Live event as a supplier? Check out our sponsorship opportunities.